Lyft accidents have become very common in Cape Coral. This ridesharing service is becoming more and more popular in the Sunshine State. More people than ever sign up as Lyft drivers. However, with the substantial number of drivers come the larger number of accidents. The Cape Coral Lyft accident lawyers at the Wolfson Law Firm are ready to assist you if you were injured in any car accident involving Lyft. 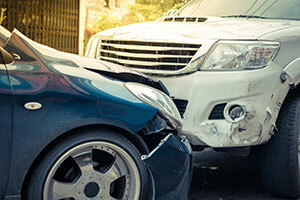 We have 50 plus years of experience in recovering compensation for personal injury clients in Florida. We have dealt with Lyft’s insurance company and we can do it for you too. As a claimant, you may be able to claim against Lyft’s $1M insurance policy. But to get compensated by Lyft, you'll have to prove your case and your damages. Call our Fort Myers car accident lawyers at 239-777-9954 for free consultations with our Lyft accident lawyers. We don't ask for fees unless we recover for you. Cape Coral is located north of Fort Myers, just over the bridges with Caloosahatchee River. It is the largest city in Southwest Florida with 180,000 residents. It doesn’t have any beaches because it has the Matlacha Aqua Reserve and overlooks to the Pine Island. But, it has many canals, which number is larger than those of the canals of Venice and Amsterdam. Many of them are navigable, yet, Cape Coral has abundant streets and roads for cars. Being injured in another type of Lyft accident doesn't deprive you of the right to seek compensation. Just call our Fort Myers personal injury lawyers, and we will help you determine if you can pursue justice and compensation. Our Cape Coral Lyft accident lawyers take these cases very seriously. Once we do the initial consultations with you and you choose us to represent you, we will start by building a compelling case for you. You may be offered a quick settlement but don't accept it before speaking to a lawyer because it is likely that it won't be a fair amount of money. It is always best to speak with a Fort Myers car accident lawyer before accepting any type of settlement offer from any insurance company. Call us at 239-777-9954 for your free consultation. We never ask for fees unless we recover for you.